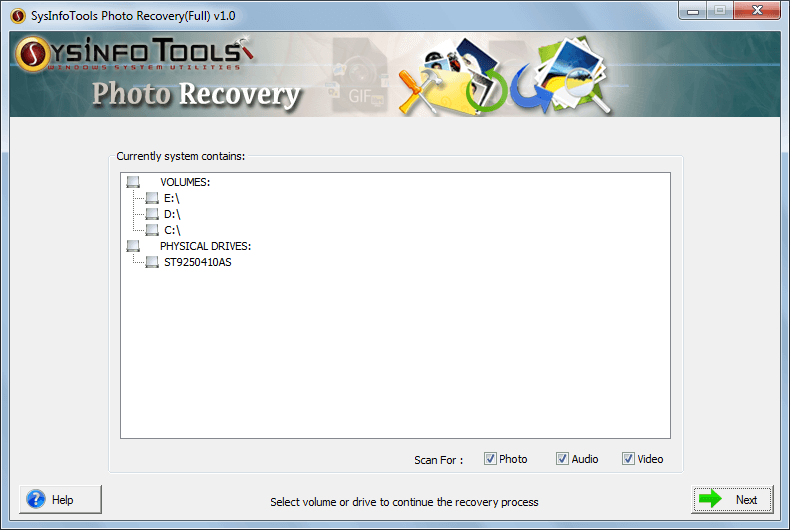 Photo Recovery software helps you recover deleted photos, audios and videos. Changes: Now software supports all types of Image file formats, Audio file formats and Video file formats. Press release: Newly launched Photo Recovery software is readily available for free download and purchase. Have you lost photos or pictures from your computer system or any external storage media including digital camera? Try Photo Recovery software to recover them. It also supports recovery of audio and video files from all popular storage media devices. The trial version of SysInfoTools Photo Recovery tool can be freely distributed over the Internet in an uncharged and unchanged form. SysInfoTools Photo Recovery Copyright by SysInfoTools Data Recovery. Your Agreement to this License You should carefully read the following terms and conditions before using, installing or distributing this software, unless you have a different license agreement signed by SysInfoTools Data Recovery.